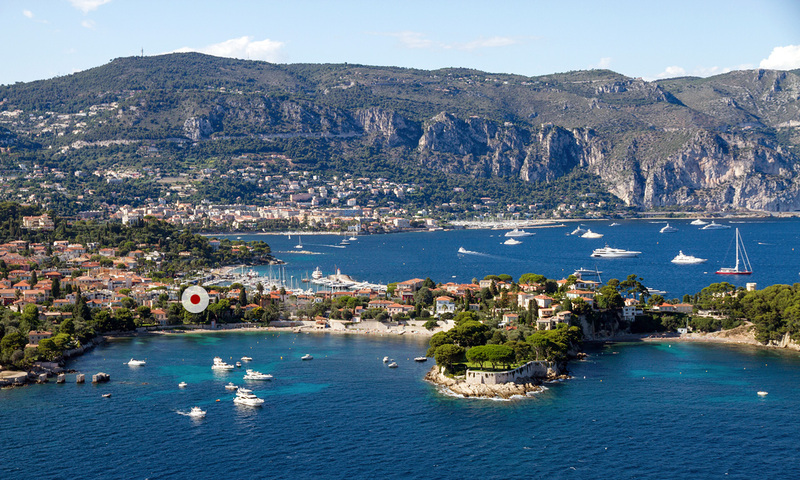 Enjoy all the pleasures of Saint-Jean Cap Ferrat: the beaches, the port, gardens and restaurants, all at a walking distance of your Domaine des Trois Villas. 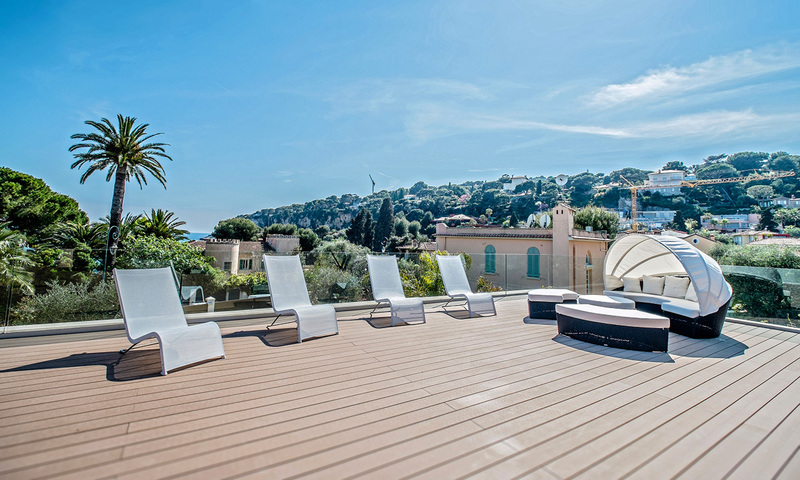 Book now your luxury vacations on the French Riviera with Casol! 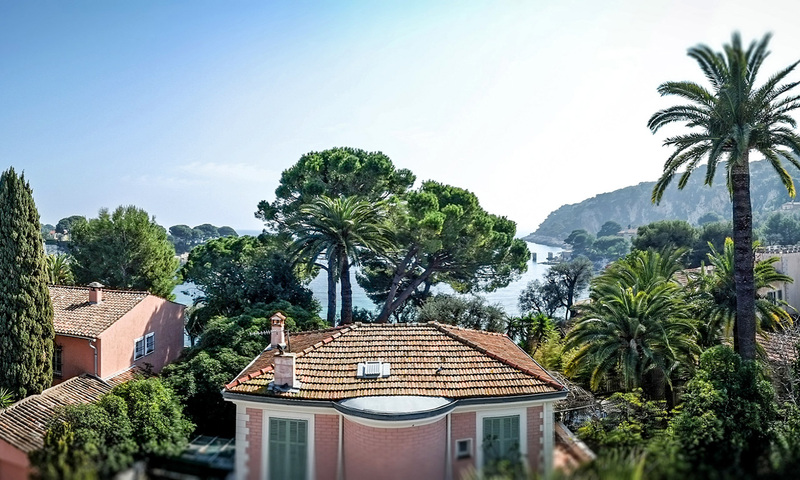 Located between Nice and Monaco, discover the Côte d'Azur on the peninsula of Saint-Jean Cap Ferrat: a heaven of tranquility, warm climate, lush vegetation, palm trees and amazing sea views. Big group coming to the South of France? 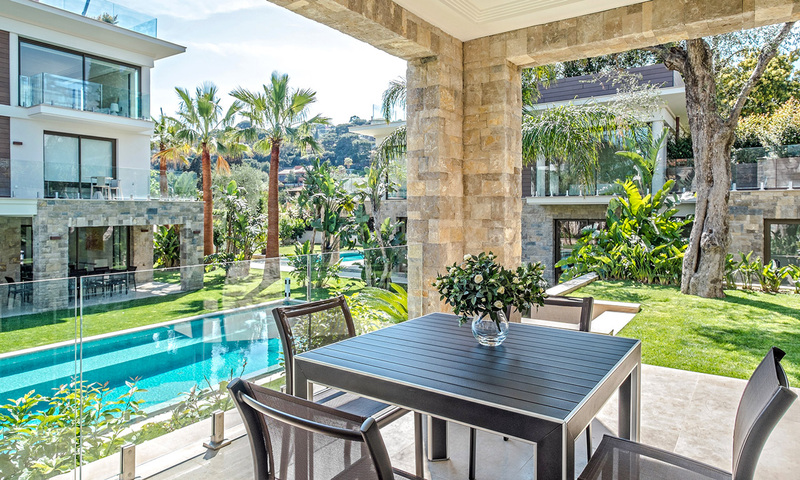 Celebrate or relax in privacy, in your grand domaine welcoming up to 24 guests, in your 3 villas: 1,025 sqm (11,000 sq.ft.) 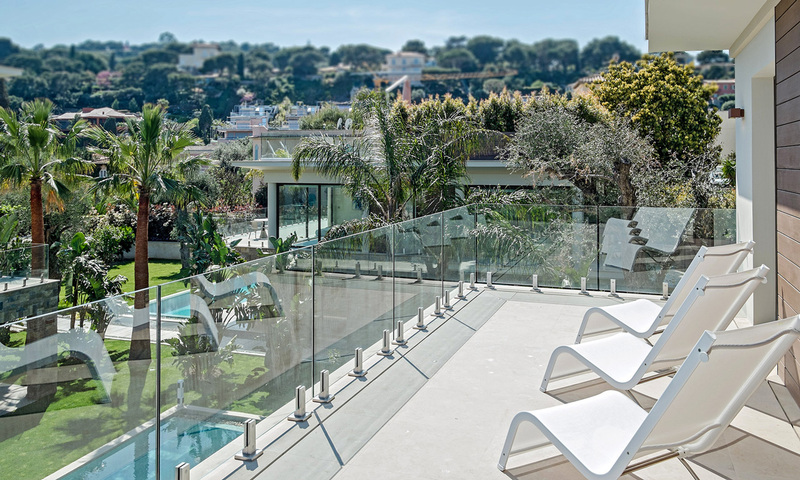 of living space and 2,110 sqm (22,700 sq.ft) of gardens, 2 infinity pools, 12 bedrooms, 12 ensuite bathrooms, terraces at pool level and on the rooftops with sea views! Don't like to drive? 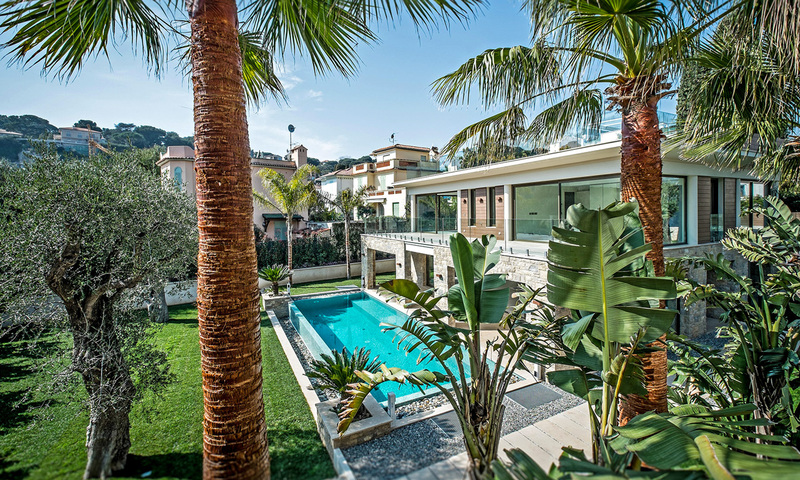 Built in the very heart of Cap Ferrat, with private walkway to the harbor, only a few minutes walk from Paloma Beach and all the amenities of the village, you won't need any car once you arrive at your property! 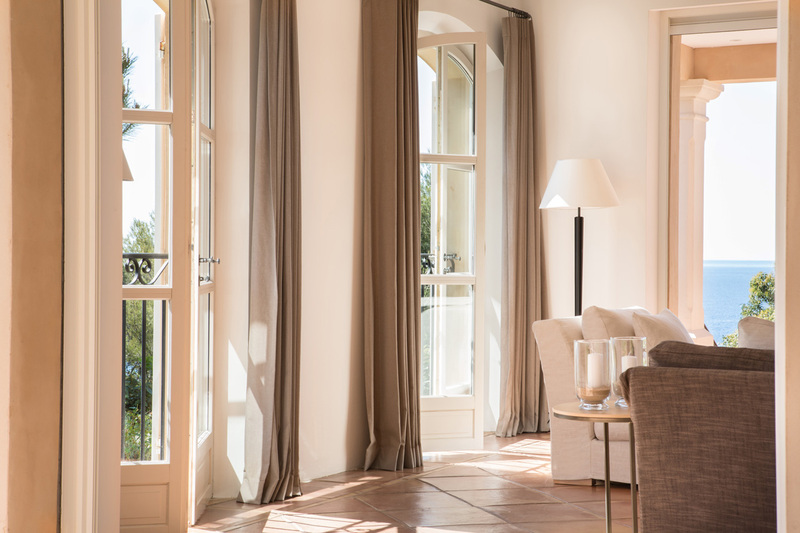 Voyage in style, with an attention to details, all three villas provide refined finishing touches with the most elegant furnishings and decoration. 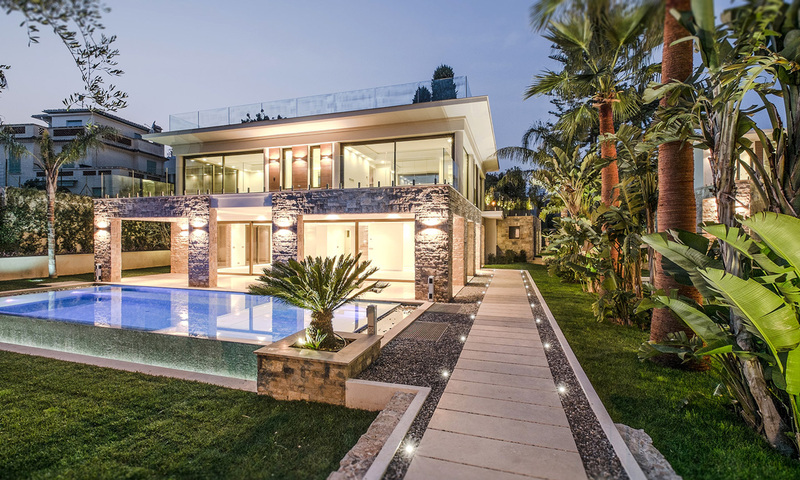 Every aspect of this grand property has been designed to give you a light open-plan yet subtle state-of-the-art retreat. Need parking for your cars or for your friends visiting? 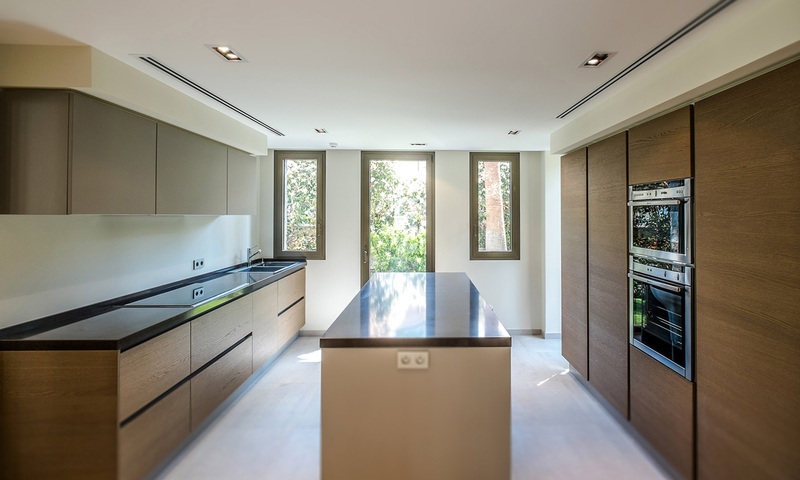 Your property also offers you underground garage and parking spaces for up to 10 cars! A lift and one staff bedroom add to your options. 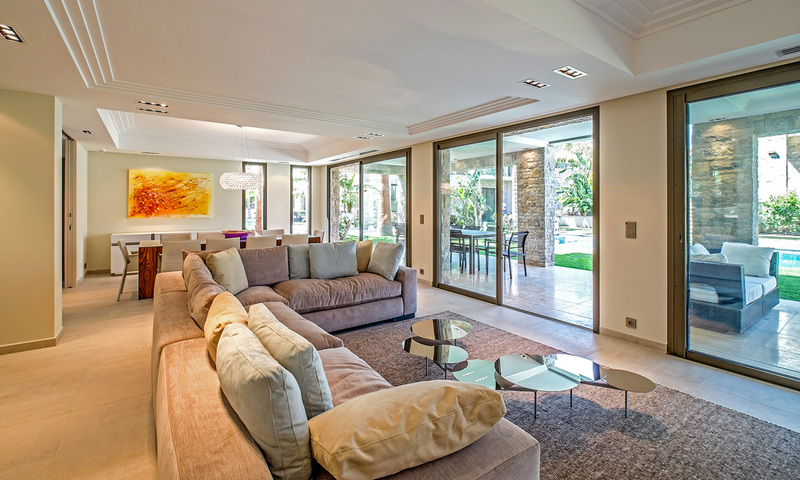 Ideal for large families, groups of friends or corporate use, the property is only available to rent as a whole. 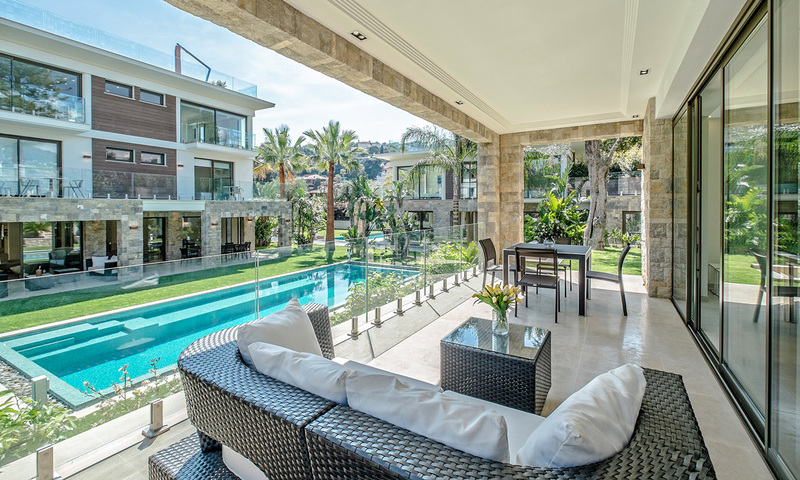 Clients can book 4, 6, 10 or 12 bedrooms and enjoy exclusive use of the entire property. 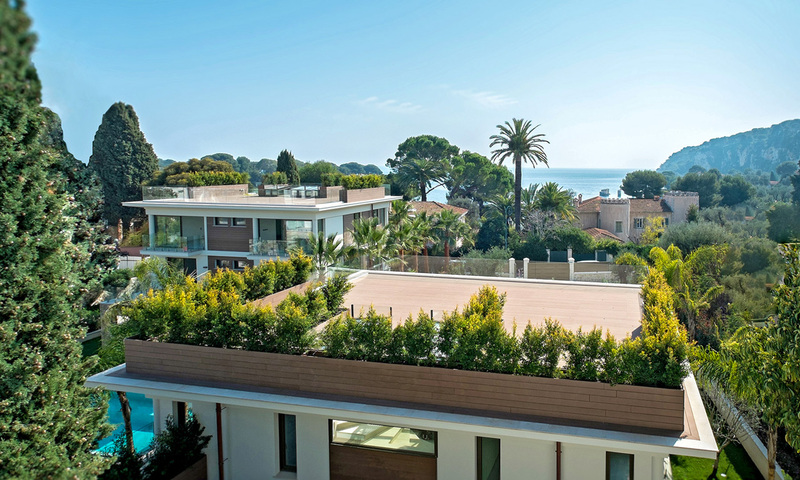 Welcome to your Domaine des Trois Villas in Saint-Jean Cap Ferrat! Want to go to Monaco? 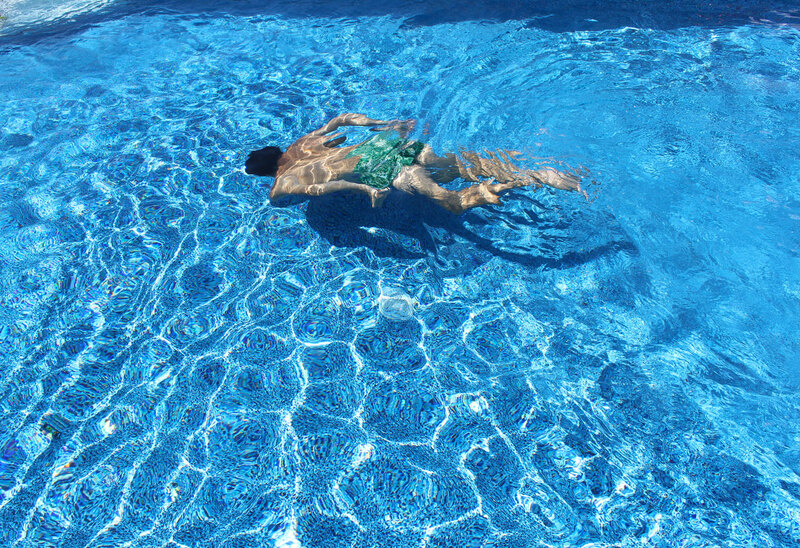 Just 15 minutes away, swim at the Larvotto beach, shop chez Louis Vuitton, eat at La Vigie Restaurant, play tennis, enjoy the different spas, meet your friends at the Casino, dance at night chez Jimmy Z, discover the different museums and all year around fairs, take care of your bank affairs or reserve a yacht for the day to enjoy the treasures of the Cote d'Azur such as l'Île Saint-Marguerite! More the quiet type? 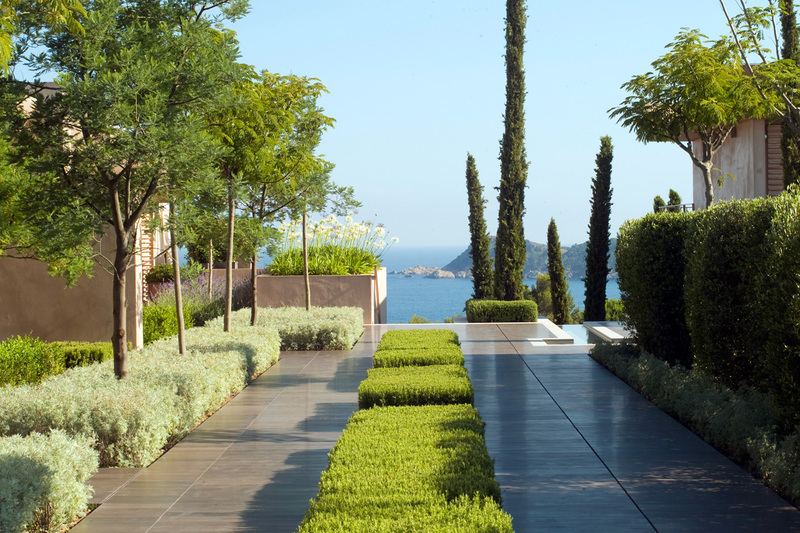 Saint-Jean Cap Ferrat has amazing gardens not to be missed for a healthy walk, or perhaps a nice conversation over a glass of wine at le Grand Hotel du Cap Ferrat facing the sea? You want to party?! Let Casol book your helicopter ride to Saint-Tropez for your Nikki Beach party with champagne! Villa 1 - Bedroom 1: King bed, ensuite bathroom, sea views. Villa 1 - Bedroom 2: King bed, ensuite bathroom, sea views. Villa 1 - Bedroom 3: Queen bed, ensuite bathroom, garden views. Villa 1 - Bedroom 4: Queen bed, ensuite bathroom, garden views. Villa 1 - Bedroom 5: Queen bed, ensuite bathroom, garden views. Villa 1 - Bedroom 6: Queen bed, ensuite bathroom, garden views. Villa 2 - Bedroom 7: King bed, ensuite bathroom, garden views. Villa 2 - Bedroom 8: Queen bed, ensuite bathroom, garden views. Villa 2 - Bedroom 9: Queen bed, ensuite bathroom, garden views. Villa 2 - Bedroom 10: Queen bed, ensuite bathroom, garden views. 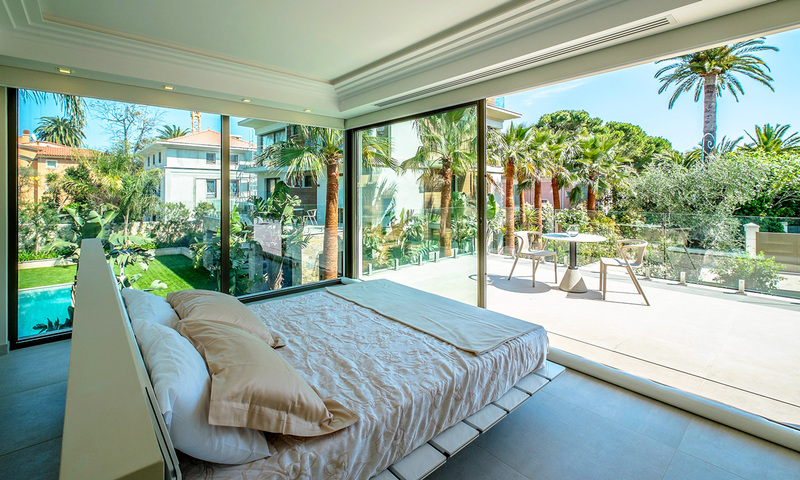 Villa 3 - Bedroom 11: Queen bed, ensuite bathroom, garden views. 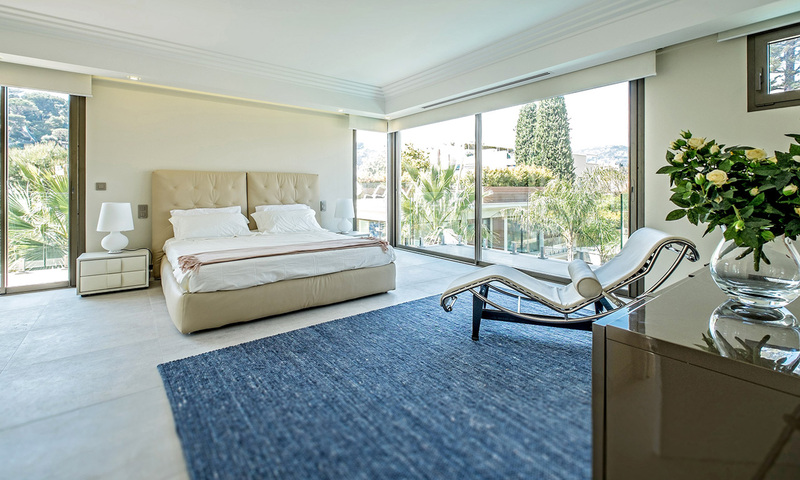 Villa 3 - Bedroom 12: Queen bed, ensuite bathroom, garden views. 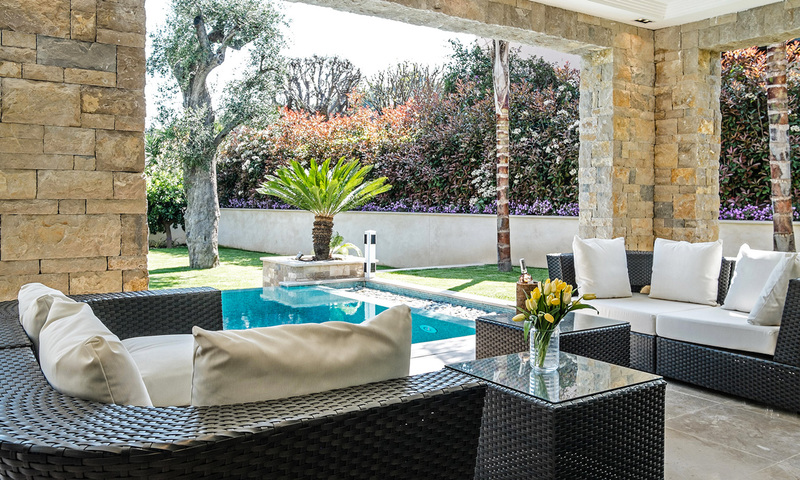 Domaine of 3 fully equipped villas. 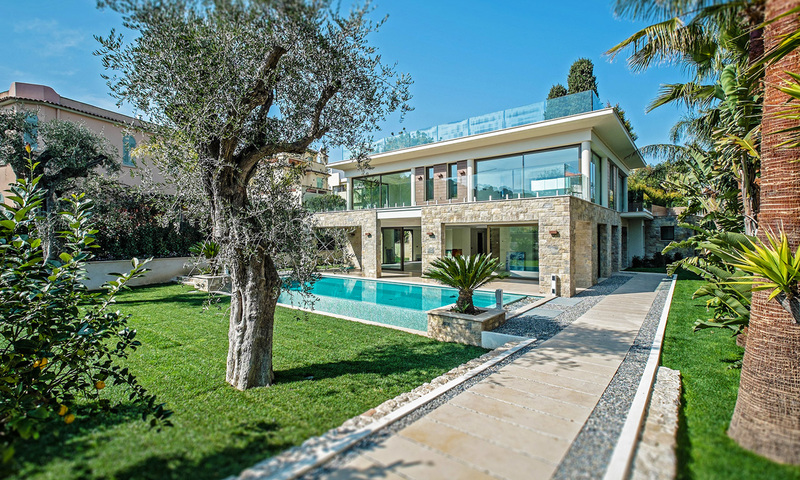 Villa 1 : Large living/dining room with TV lounge and separate kitchen, 6 ensuite bedrooms over 2 floors with lift access, Covered terrace with outdoor dining & sitting areas, Rooftop terrace with sea views, 12 x 4m infinity pool, underground garage. 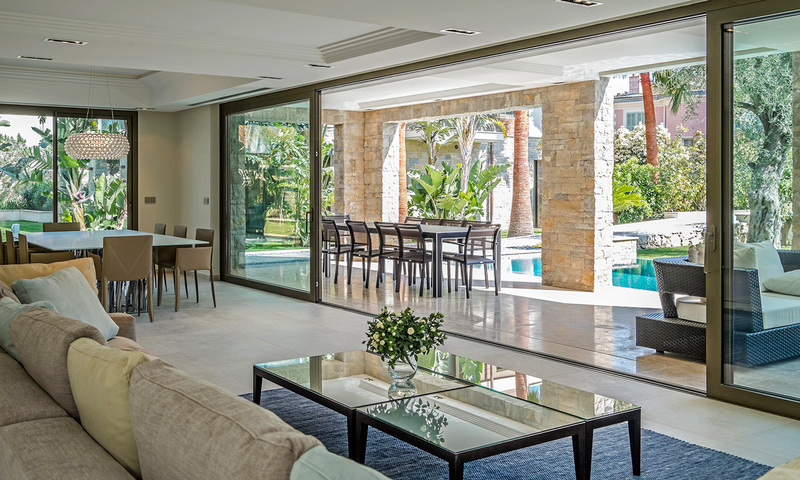 Villa 2 : Large living/dining room with TV lounge and separate kitchen, 4 ensuite bedrooms, 1 staff studio, Covered terrace with outdoor dining & sitting areas, Rooftop terrace with sea views, 12 x 4m infinity pool. 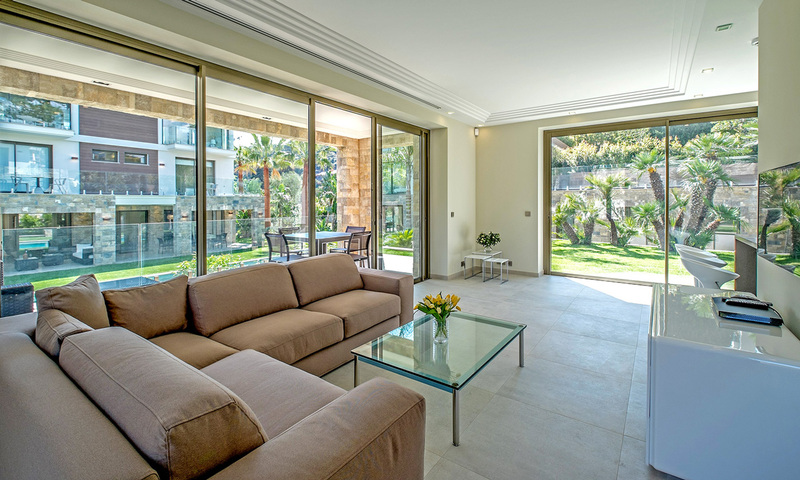 Villa 3 : Open-plan living/dining area with kitchen, 2 ensuite bedrooms with shared terrace, Covered terrace with outdoor dining & sitting areas, shared swimming pool and garage. 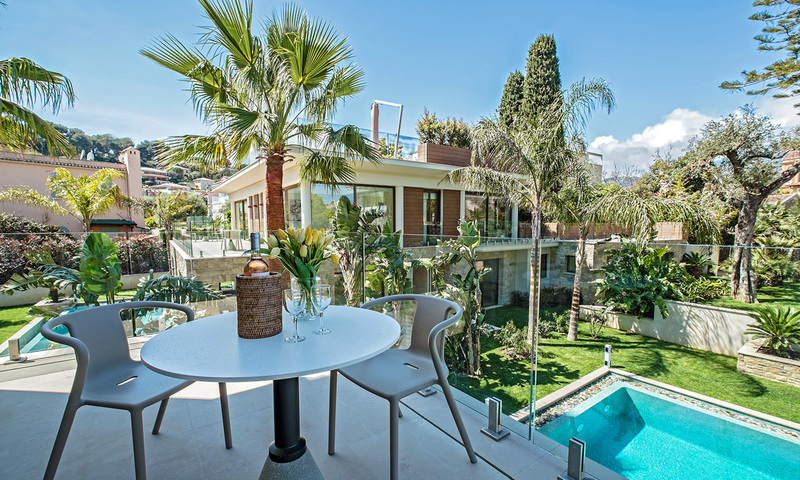 Maximum 24 guests, children welcome, cash security deposit, 7 days rental minimum (14 days during July and August). Contact Casol for availability and price. 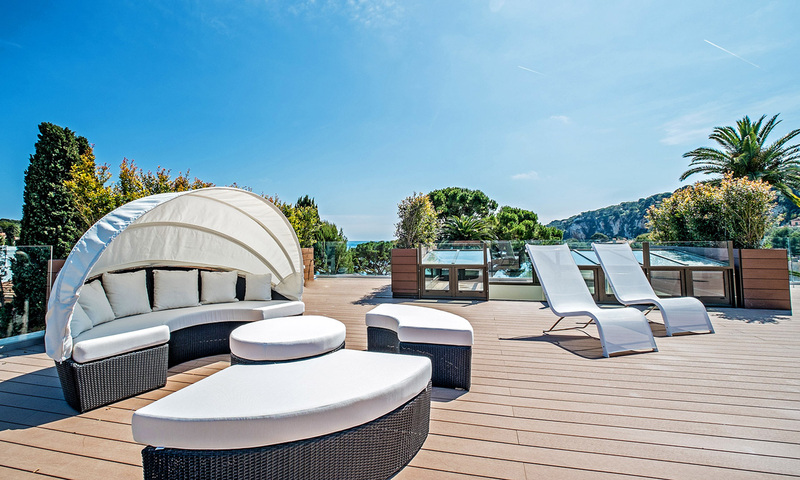 Vacations in St-Jean Cap Ferrat? 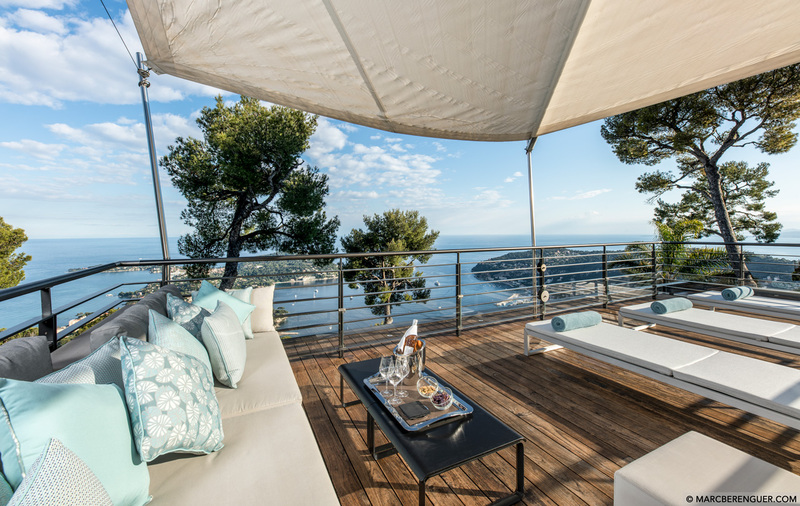 Stay at your Domaine des Trois Villas for space, privacy, luxury and proximity to the beaches and the port of Saint-Jean Cap Ferrat! Mademoiselle is going to the Côte d'Azur? Offer yourself a Carré Casol, perfect to be warm on the plane, as a pirate beach bandana or for your chic soirées in town! 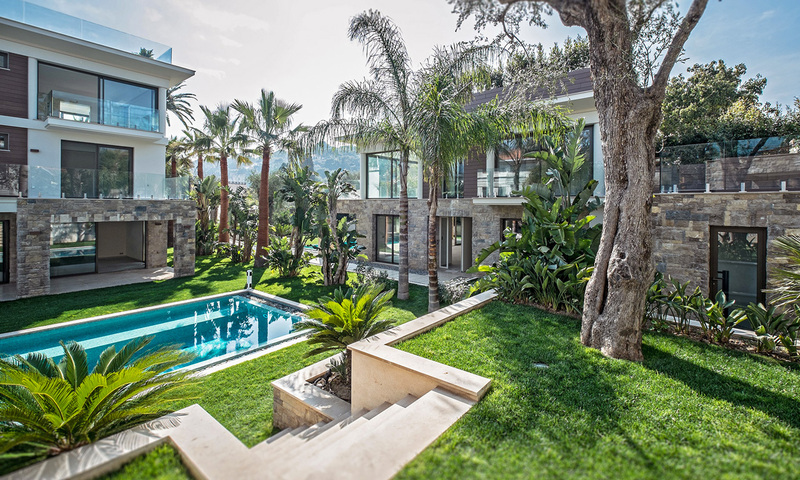 Want to see more villas on the Côte d'Azur?